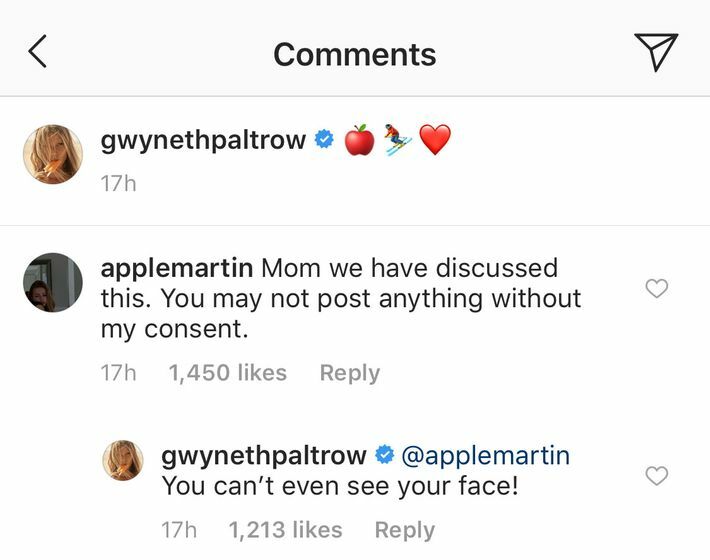 Gwyneth Paltrow may be a Hollywood A-lister, wellness mogul, and famed conscious uncoupler, but even being a (self-proclaimed) maestro of yoga does not keep you from embarrassing your child on Instagram. Over the weekend, she posted a photo on Instagram of herself and her lookalike 14-year-old daughter, Apple Martin, riding up a lift on what looks like a mother-daughter ski trip (hopefully one that did not include an alleged skiing hit-and-run incident). Which, fair point — considering that Apple’s ski goggles take up most of the photo. Maybe it’s the goggles themselves that are embarrassing? One can never be sure with the teens. 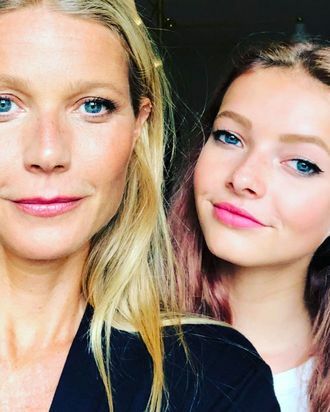 Apple has appeared on her mother’s Instagram before, though it is unclear which photos, if any, may have prompted the rule that Paltrow cannot post a photo without her daughter’s approval. Maybe it was this grainy photo with only three-fourths of Apple’s face showing? Either way, the ski photo is still up on her page, so it looks like she will remain a charmingly embarrassing Instagram mom, on her own account as well as via comments on other people’s memes.